Commercial divers work underwater at sea, or in rivers, lakes, canals and reservoirs using scuba gear to inspect, repair, remove or install equipment, structures or vessels. They may use power or hand tools and welding equipment to complete various tasks. Tasks could include testing for cracks on the legs of oil rigs at sea, replacing missing rivets on vessels, laying, repairing or inspecting underwater pipelines, searching for lost, messing or sunken objects or working in flooded mines. 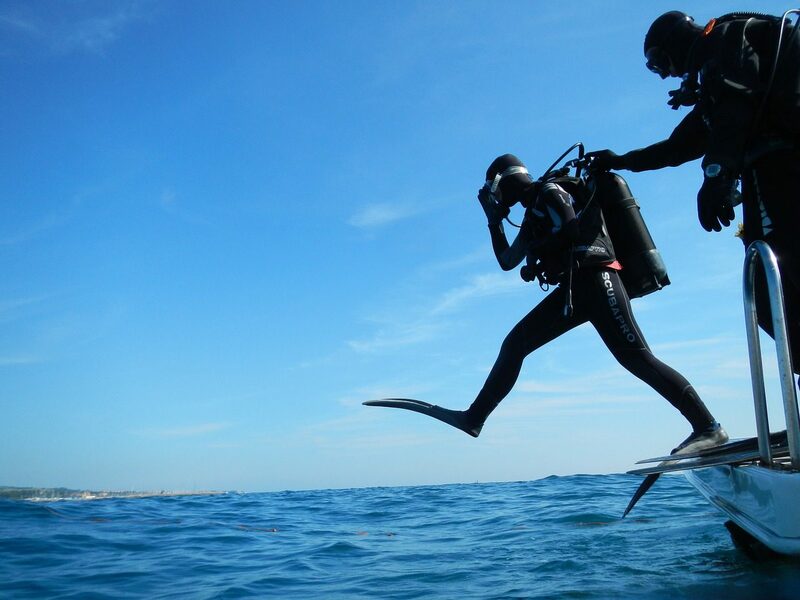 You must pass a medical carried out by a doctor approved by the Health and Safety Executive (HSE) before you begin professional diver training. You might find it useful to have experience of recreational SCUBA diving before training as a commercial diver, but this isn’t essential. Many diving schools offer tests to help you decide whether you’d be suited to working underwater. The HSE, Rigzone, Divers Jobs, Underwater Contractor International and Divework all have more information on diving as a career. You’d normally be self-employed as a commercial diver. With experience and further training, you could move into roles with extra responsibility and more pay, like life support technician or diving supervisor. If working in a dive centre you could move into a management role. You could also set up a business, or work in a related field where diving skills are necessary, like swimming pool engineering or maintenance. You will need excellent swimming abilities, stamina and fitness, you would also need to keep calm under pressure and have good levels of concentration under demanding conditions.